Each year, IJIET co-organizes and sponsors selected international conferences in cooperation with other conferences, universities, and organizations. Selected papers submitted to the IJIET conferences may be invited to revise for fast track publication consideration in the Journal. Successfully revised IJIET-sponsored conference papers may appear in one issue. 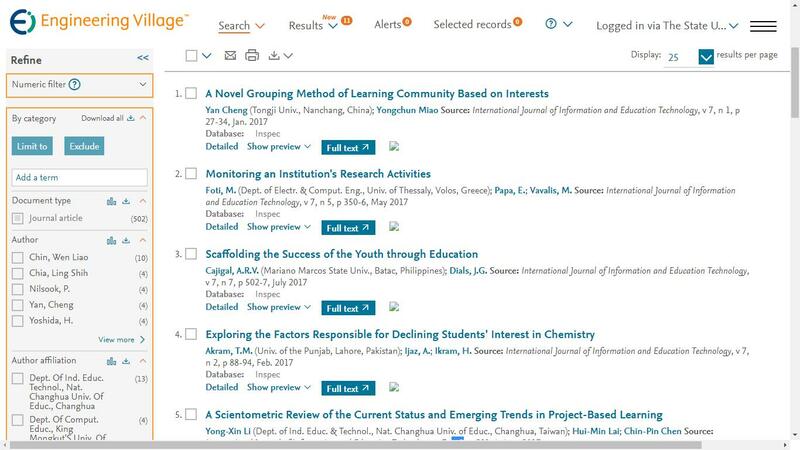 All IJIET-sponsored conference papers are indexed by EI (INSPEC, IET), Cabell's Directories, DOAJ, Electronic Journals Library, Engineering & Technology Digital Library, Google Scholar, Crossref and ProQuest.